Paradox of human evolution is that the more science develops, the closer we are to be for nature. This does not agree to donate a drop of comfort, which provides a civilization. This assertion is true for baths and saunas. Wants the heater gave the same light and soft couples, and brick oven of our grandfathers, but quickly warmed to demand from us a minimum of effort and, of course, has an outstanding design. All this is in the elite group of furnaces SAUNATEC, known under the trademark HELO. The very history of the group SAUNATEC strikes the imagination. The company was founded in 1919 in Vyborg (who said that she did not have Russian roots? ), Called Karjalan Sahko Ou and has been selling and installing electrical equipment. In 1933, one of the shareholders of the company becomes Oscar Vikstrem, which takes the strategic decision to begin work on the first electric heaters for saunas. Oscar Vikstrema not without reason called the father of electric heaters! After World War II, the company moved to Helsinki, which produces electric furnace heating and developing a parallel electric heaters. In 1949, Oscar Vikstrem sets and is the first elektrokamenku at his home in Helsinki, and after a year the company will now proceed to industrial production of electric furnaces for saunas. In 1961, the refinery moved to Hanko (Hanko), 130 kilometers from Helsinki. After 3 years, a brand HELO, and its modern name SAUNATEC GROUP LTD company receives in the early 90-ies. Over its history, the company invited (owned) a lot of innovation: it invented a stove thermos HELO EVER READY in 1992, furnace with a built-in steam around the same time, in 1995 - oven for presidents HELO FANTASY, which is able to split control the temperature of stones and sauna, allowing you to create a microclimate that is suitable for you. Over the past 30 years the company has actively developed and now has two plants in Finland, two in the U.S., one in Germany, representation in the UK and France. 5 October, 2006 majority shareholder SAUNATEC GROUP LTD has become one of the largest investment banks in the world - Dutch ABN AMRO. Infrared saunas and bathhouses HeloPozhaluy, one of the most unique range of furnaces in HELO - it is an electric heater SEIDANKIVI, encased talkohloritom (soap stone, as it is called in Finland). The weight of the furnace - about 300 kg.! It is intended solely for the central installation in the elite baths. By talkohloritnoy lining performed in the factory, you can enjoy breathtakingly sweet and gentle steam, as well as the uneven heat, which gives talkohlorit. This furnace is unique in that fairly quickly and convenience of management using remote DIGI I or DIGI II, typical of an electric heater, is not in contradiction with the opportunity to receive a vapor, which gives a massive stone oven. In SEIDANKIVI no compromises, it is the leader for leaders! The furnace is available in 9.0, 10.5, 12 and 15 kW performance. Infrared saunas and bathhouses HeloDrovyanoy analog SEIDANKIVI, heater HIIDENKIVI, is designed for installation in the sauna to 18 cubic meters. HIIDENKIVI created specifically for connoisseurs of Russian baths! You can watch forever, as the glass door plyashet fire pyanet from barely perceptible aroma of smoke envelops pair, and receive divine pleasure from light and soft steam. Couple that fills your bath when you're pouring water on the rocks HIIDENKIVI. Your bliss does not violate the need to toss polenya minute into the furnace. 250 kg. talkohlorita - unique natural stones, which are faced with oven, excellent accumulate and retain heat. Using talkohlorita more excellent design solutions, which fit in any oven, even the most elegant interior. You can choose one of the most modern controls. IDI, a thickness of only 8 mm, with a built-in temperature sensor on the air, to install inside or outside paired with a temperature indicator in the sauna and working times, the possibility of a preset time, inclusion, governance function lighting. DIGI II - advanced management features with the ability to program the preferred mode of use (the persistence of memory in a 4-channels). The easiest console EASY, placed in an ordinary podrozetnik, has 5 steps temperature is displayed, which you choose, and on / off switch, which includes a heater at a fixed time (2 hours), respectively, it can also turn off elektrokamenku at any time . If you important exclusive modern design baths, an extension of your home, as well as the high performance furnaces for the Russian baths, the famous Finnish designer Ristomatti Ratia worked not in vain. Because under his pen came the heater series Tonttu *, who did not leave indifferent. They joined a tehnokratichny design and outstanding ability to give you a vapor that you expect from this Russian baths! Series offers wonderful oven-thermos SAUNATONTTU, which allows you not to think about when to go to the bath. She is always waiting for you! Morning or evening, Wednesday or Saturday this unique oven is ready to share with his master different light steam. Just open the lid and plesnuv water on the rocks, get soft and gentle steam, which felt much easier when the overall low temperature in the sauna. And this is what we all want, is not it? The soft, lightweight pairs, which does not burn! The first stove invented the vacuum flask Concern SAUNATEC, and it immediately became a sensation. First, in Finland, and now worldwide. Because enjoy it very easy and convenient. You set the level of heating: 100, 200, 300 watts and in your absence «dwarf» supports the necessary level of temperature stones. You may open the door for 10 minutes before the planned hike in the bath, plesnut water on the rocks and forget about everything! Pessimists would say that this stove consume much electricity. However, experts from Concern SAUNATEC they do not agree. This is less than consumes the warm floor in your bathroom! Also note that if you do not need to include oven at full power for an hour to heat the sauna, it also saves electricity. Another advantage of the furnace-flask: usually a heater warms to the closed lid, it allows not overheat shelves and walls, and does not burn oxygen in the sauna! Infrared saunas and bathhouses HeloSleduyuschaya model series, to occupy a special place - the electric stove PIKKUTONTTU. The same outstanding design and optimization of design to create better conditions for the present Russian bathhouse. It is not oven-thermos, for its heating needs time, but what results! 70 kg. stones (rather than 20-35, both in conventional kamenkah) and a special system of convection will enable you to enjoy this Russian ferry! If you dream of a furnace, which will attract the attention of your friends and cause elation surrounding during the present Russian bathhouse with venikami, you are not wrong by selecting HELO PIKKUTONTTU! You can use any of the modern controls: MIDI, DIGI I, DIGI II, EASY of SAUNATEC. The furnace is available in 4.5, 6.6, 9.0 kW performance. UKKOTONTTU - closing model in the series Tonttu. This fuel heater, analogues which does not exist. Storage warm heater, which topitsya wood! Enumerate the dignity of the furnace can be forever. We will stop only at the most important. She, like all the furnaces of the series divinely good. It is designed to accommodate angular, but the use of fences can be installed in the center and sauna, as any of the furnaces series Tonttu. 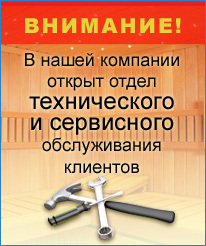 It is difficult to present a more sympathetic and gently drovyanuyu heater, for the true lovers of Russian saunas. Cover UKKOTONTTU rose and retains heat while you relax with friends outside the bathhouse, or if in your opinion in the bath temperature rose too high. Design UKKOTONTTU also that, unlike traditional wood-burning heaters, pipe, chimney output from the binary space with the rear part of the furnace. As a result, you are spared the effects of hard infrared radiation caused by the hot pipe, and feel only mild heat from the stones. In the kamenke organized a three-heat exchange system, which makes this oven is very economical. The heater is suitable for baths volume of 8 to 22 m3. Infrared saunas and bathhouses HeloOdnoy of innovation the company has become SAUNATEC elektrokamenka combining the use of ovens to dry saunas, wet Russian saunas, and steam baths. Tempting, is not it? There will be no need to think how many kovshikov water drop on the rocks to get the most pleasure. Just put the value of humidity and temperature control panel. Everything else happens automatically. This does not eliminate the possibility podkinut water on the rocks! HELO MISTY DELUX invites you to feel totally free in their preferences and the preferences of your friends! The heater is produced in 6.0, 8.0, 9.0 kW performance, with automatic or manual feed water.